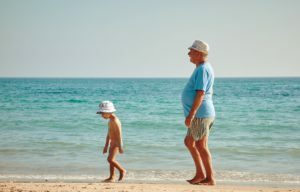 Leaving an inheritance to a grandchild requires careful handling, usually under the guidance of an estate planning attorney. Specially if your grandchild is under the age of 18. The same is true for money awarded by a court, when a minor has received property for other reasons, like a settlement for a personal injury matter. Leaving an inheritance to your grandchild in a trust will protect the child and the inheritance. Until the child reaches a stated age (say, 25 or 30 years old), the trustee is to use the money only for the child’s benefit. The terms of the trust will detail what the trustee can or cannot do with the money. In any situation, the trustee may not benefit from the money in any way. If the asset is valued at more than the state threshold, the probate court will exercise its oversight. If no trust has been set up, then an adult will need to become a conservator, a person responsible for managing a child’s property. This person needs to apply to the court to be named conservator, and while it is frequently the child’s parent, this is not always the case. For more information about leaving assets to children, download Mastry Law’s free book or estate planning reports. To learn more about how to transfer assets to your grandchildren using a trust, schedule a complementary consultation with Mastry Law.